When a tooth crisis happens, you might not just have the time to Google-search “urgent care dental near me!” What do you do? How do you know when it’s serious enough that you should go to an urgent dental care clinic, the emergency room, wait it out, or schedule an appointment with your dentist for next week? Prevention is key. 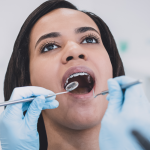 Our team at Penn Dental Medicine wants to help prepare you in case something serious does happen to you or a family member. 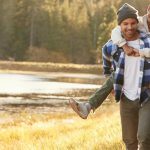 It is important to know what comprises a dental emergency, how you can take care of yourself on the way to the emergency dental care clinic, and where your nearest urgent care dental center is located. My child was biting into a hard piece of candy and part of a tooth has chipped off. It doesn’t hurt him, but do I need to get immediate medical attention to make sure his teeth are healthy? In most cases like this, the dental issue is only cosmetic, and requires no immediate dental attention. You can call your dentist and schedule an appointment to have it looked at and fixed, but chances are that immediate care is not necessary. I was playing a sport and a tooth was knocked out. What do I do? If a tooth is knocked out of your mouth, or is moving out of place, you should seek immediate dental care. 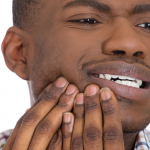 While on your way to the urgent care dental clinic, avoid touching your tooth and tooth area as much as possible! Place the tooth in a container with milk or your saliva, and put a cold compress on your face to stop the bleeding from the tooth socket. I am experiencing severe dental pain and I don’t know what to do. If you are having abnormal dental pain that is causing you extreme discomfort, call your dentist’s office. They will be able to assess over the phone whether you should wait for an appointment, or seek emergency dental care. If you do need immediate care, they can suggest an urgent care dental pain specialist to help you as soon as possible. Penn Dental Medicine Can Help in an Emergency! Penn Dental Medicine is equipped to help you in case of a dental emergency. Emergency treatment appointments are available Monday through Friday from 8 am to 4:30 pm. If you require emergency help after these hours or on a weekend or holiday, call 215-898-8965 to receive directions to the Hospital of the University of Pennsylvania. 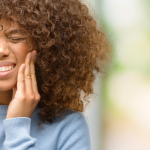 A sudden dental emergency can be a literal pain, but at the urgent care dental clinic at Penn Dental Medicine, we can help get you on the road to recovery.